MILPITAS, CA, June 14, 2017 – CORWIL Technology (CORWIL) announced today that in partnership with Chroma US, it has added a 3650-EX to its test floor to complement CORWIL’s existing 3650. This system is CORWIL’s answer to its customers demand for a flexible ATE system with a higher number of channels for multisite Package Test and Wafer Sort solutions. The 3650-EX achieves lower test cost not only by reducing the cost of the tester but also by testing more devices through its high parallel test capability, 1024 tester channels and 96 DPS. The 3650-EX has excellent overall timing accuracy within ±550ps. The pattern generator of 3650-EX has up to 64M depth pattern instruction memory. 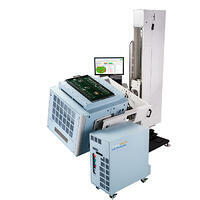 The 3650-EX delivers a combination of high test performance and throughput making it a cost-effective test solution.